This found item comes in two waves: Someone in my family found a disposable camera several years ago sitting somewhere and took it for safe keeping. I recently rediscovered it at the house along with several other old used, disposable cameras and got them all developed. 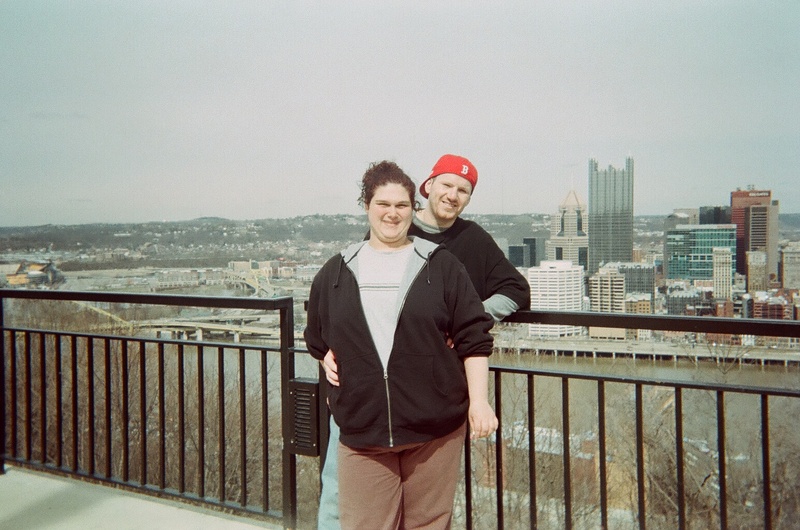 This roll features photos of the same couple at various places in Pittsburgh: tailgating outside a Steelers game, and several photos with the skyline in the background.